Is the 5C getting a two-part sequel? We're fully expecting Apple to release two different iPhone 6 handsets, with rumours consistently pointing to both a 4.7 inch and 5.5 inch model. But now there's a suggestion that there could be as many as four different models. GSMArena spotted a product listing from retailer XtremeGuard, which showed screen protectors for not just the iPhone 6 in both size points but the iPhone 6C in both sizes as well. We find the idea of Apple launching four handsets in one go more than a little unlikely, since not so long ago it was only making one a year, not to mention the fact that there's been no real mention of an iPhone 6C at any point up to now. There's also the fact that the accompanying images are the same for all four handsets so there's no real sense that XtremeGuard has an inside scoop. More likely it's just covering its bases. Still, it's not an idea that should be dismissed entirely. 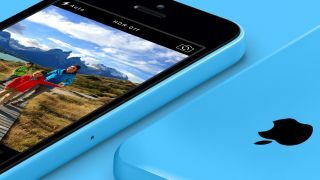 After all, there was an iPhone 5C, so Apple may well want to continue the range and continue to offer handsets to additional segments of the market rather than just the top end, just as by offering two different screen sizes it's widening its reach. We'd take this with a whole bucket of salt, but anything's possible. We might now have seen a finished iPhone 6.